DID LEONARDO DA VINCI INVENT RED BULL? Leonardo was the very first Red Bull cartoon spot. 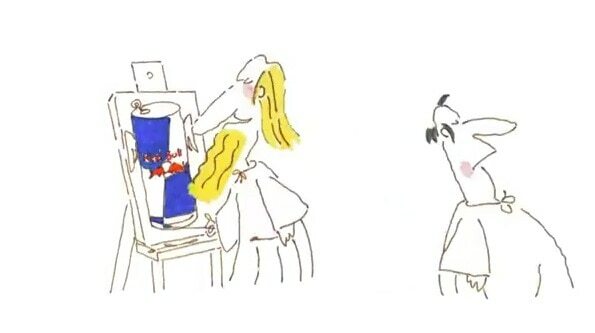 The copy was developed by the creative agency Kastner & Partners and established the beginning of the Red Bull cartoon campaign strategy: a well-known character, event or subject, to which a broad audience can relate, is found in a " larger than life" story with an unexpected twist. Red Bull Flugtag challenges teams of everyday people to build homemade, human-powered flying machines and pilot them off a 6-meter high deck in hopes of achieving flight! Flugtag may mean "flying day" in German, but all these crafts ultimately splash into the waters below. 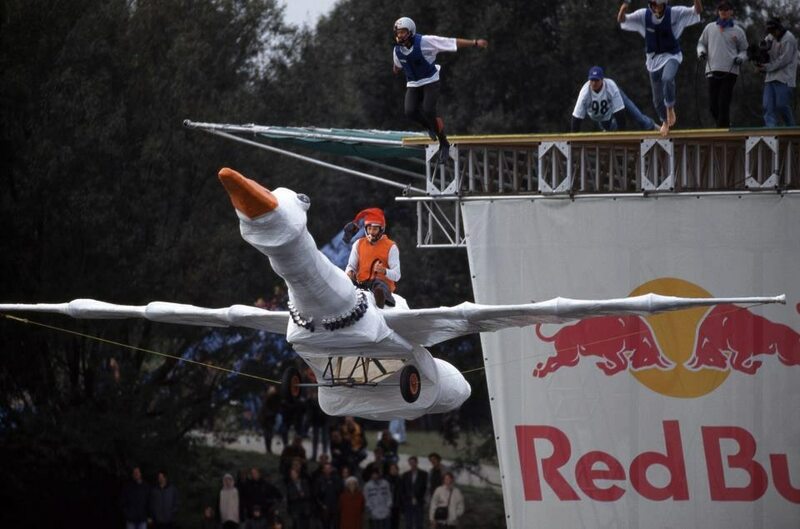 They are judged not only on their flight's distance, but on creativity and showmanship as well.